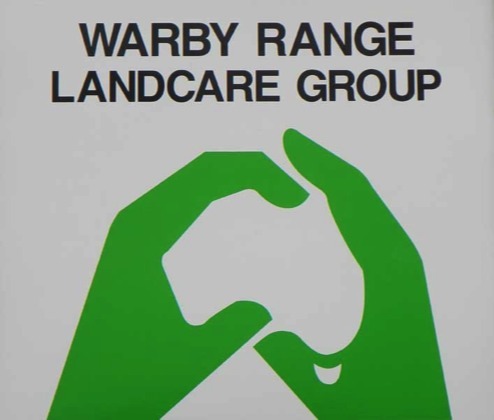 The Warby Range Landcare Group was formed in April 1992 and began as “Warby Range Landcare and Rabbit Control Group” with a series of rabbit control field days. The first formal meeting was held during May 1992, at which a caretaker committee was elected and a membership levy of $10 was decided upon. The inaugural AGM was held in September 1992 with office bearers and seven committee members being elected. The financial membership of the group was in the high twenties. The group started by working in conjunction with the Department of Conservation and Natural Resources, (as it was then known), to eradicate weeds and undertake major rabbit control operations. The emphasis has broadened beyond rabbits, weeds and vermin, to now include revegetation, water quality enhancement and the safe use of chemicals. When the membership trebled in the first year of Landcare a Co-ordinator was appointed and in 1995 the group expanded west to include Thoona. The formation of a network of 24 groups saw the membership grow to approximately 100 members. Free courses have been made available to members on a wide range of relevant topics and for a good balance, social functions are held regularly. The group meets monthly and at most general and annual meetings feature speakers are invited. Even the Minister of Agriculture has addressed the group. The Warby Range Landcare group has been most successful with on-ground projects, skill and knowledge extensions and has lead the way in many multi-group activities. A recent major program, by the group, was the “Wilby Almonds” project to reverse soil erosion, with a funding amount of almost $400,000. The work included excavation, landscaping, rock weirs, fencing and revegetation. The Warby group has forged a good association with the traditional custodians of the area (Bangerang/Pangerang community) and there are two Aboriginal family memberships. The group has had 4 presidents, secretaries and treasurers and currently operates with a committee of 10. There are 6 life members.